I’m not much of a collection person – for this I count my blessings because I do see a potential hoarder lurking around inside my psyche. A lot of collections either give me a creepy sensation of too many lives, too many pasts in one spot or they make me feel a bit sad. However – I have been really impressed of late with collections that are curated and displayed well. 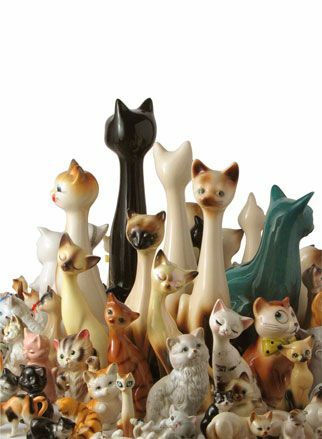 If you find yourself with an odd collection of old mirrors, or a predilection for purchasing adorable salt and pepper shakers from every state in the country – let’s find a way to display (if not all at one time) the best of them so that they become a piece of art all on their own. Remember this: Things that are displayed well become important simply by the way they are displayed and through no reason of their own. These antique mirrors are gorgeous displayed together. They’re beautiful on their own, but together – absolutely lovely. Imagine this space at night! If you can’t find this type of mirror – try antiquing a new one yourself. 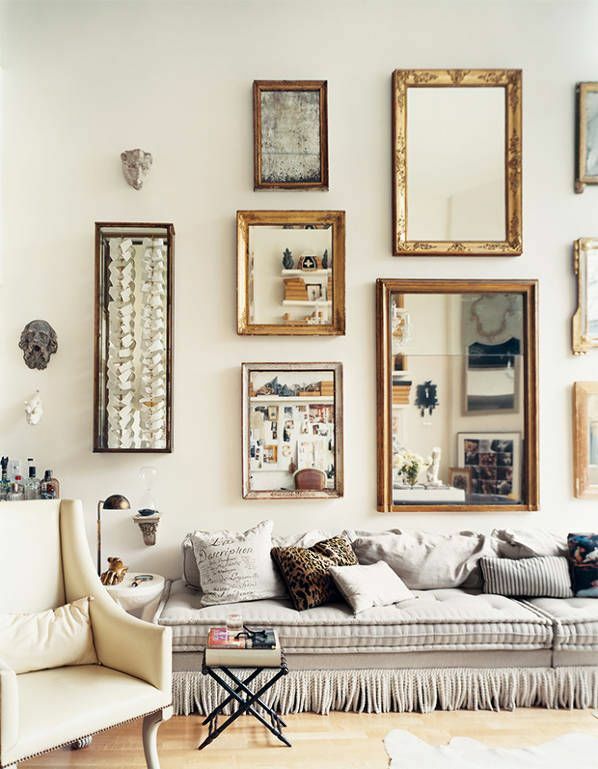 Mirrors have always been a favorite of collectors – I like that this collection has breathing room around it. Try giving your display at least 3″ of breathing room around each piece. 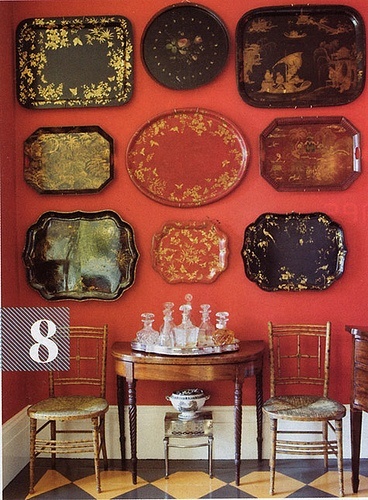 Tole trays thoughtfully displayed — even if the wall weren’t painted a rich color they would still create an impact. Trays, baskets, plates: just think quality over quantity. There are only 9 – but they polished and in great condition. 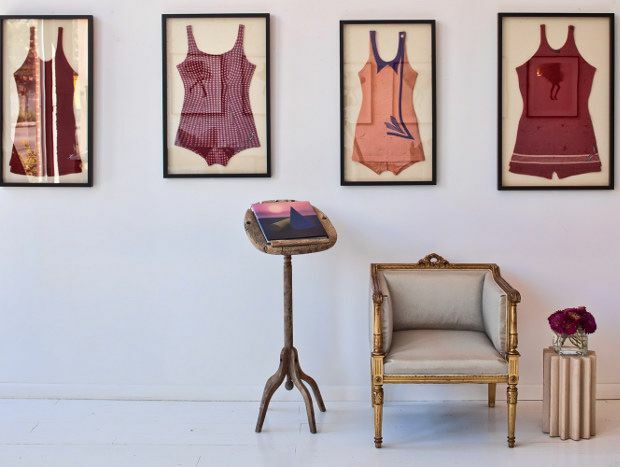 I love these vintage bathing suits. The white, museum type of environment helps keep them fresh and bold. Maybe you have something like this folded in box somewhere? Take them to a professional and get them framed right! These bread boards are interesting! I like the oil painting tucked in between them – this display really lends itself to a story. Don’t be afraid to add something to your display that isn’t necessarily related to the collection. 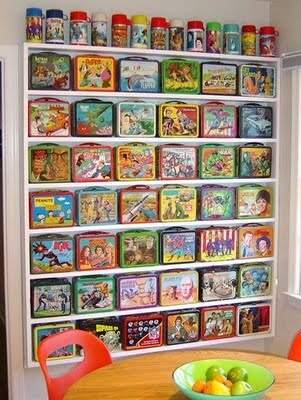 I love this Warhol-esque display of vintage lunch boxes. A bright white environment can help give collections added importance. This is a really bright, youthful pop culture display that’s well cultivated and not too cluttered. 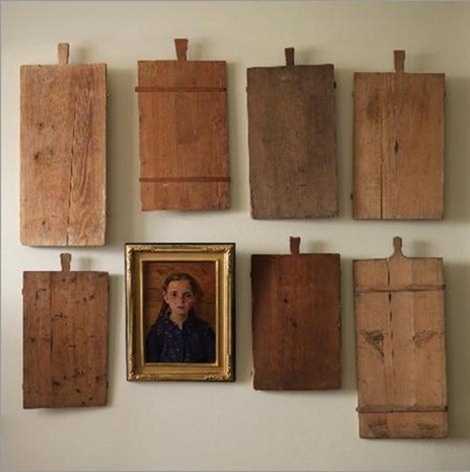 If you want to have an artful collection display, something that doesn’t feel too batty or haphazard, cultivate it. Keep only the best and/or your favorites – either get rid of, or store everything else. Then – invest a little and get it displayed properly. The visual power that your collection will have in the end will knock your socks off! Previous postSomeone Lives Here: 5 character driven kitchens to inspire you. Thanks for the mention! You’re right – I’m not a true collector of stuff – I just don’t have that gene. 🙂 I like to poke around other people’s collections though!